Kia has teamed up with DC Entertainment and Rides magazine to create a one-off version of the 2013 Optima that is inspired by the DC Comic “Batman.” This creation is slated to be part of a benefit dubbed the “We Can Be Heroes” campaign, which helps fight hunger in the Horn of Africa. The benefit itself is a great cause, but the car is simply awesome. Kia started off with the range-topping Optima SX, which boasts a 2.0-liter turbocharged engine that pops out 274 horsepower at 6,000 rpm and an impressive 269 pound-feet at torque at an ultra-low 1,750 rpm. This is enough to get this sedan to 60 mph in just 6.5 seconds, but still turn in a 22 mpg city and 34 mpg highway EPA fuel economy rating. Though there are no engine modifications, sans the performance exhaust system, to this Kia turned Batmobile, it does boast a lowered coil-over suspension to help it in the twist and Ksport performance brakes to grind it to a halt a little quicker. On the exterior, Kia draped the Optima in a matte- and piano-black color combination and tossed in a set of 20-inch black wheels wrapped in low-profile rubber. Kia also modified its trademark grille to look like the batman logo and even placed the batman logo in place of the “Kia” logo in the center of the grille. Wrapping up the exterior are yellow LED lights underneath the vehicle and the bat signal etched into the HID headlights. Inside the Optima, Kia wrapped the interior in custom black leather and suede with yellow accent stitching to maintain the Batman theme. You even get a “Bat suit” in the trunk and a set of throwing stars in the center console. Two video screens on the front headrests cap of the interior and will be playing a video during the campaign that will showcase how people can get involved with the “We Can Be Heroes” project. Our hats go off to Kia for building such an awesome car for just an awesome cause. Click past the jump to read Kia’s press release. NEW YORK, October 10, 2012 - Kia Motors America (KMA) has teamed up with DC Entertainment and RIDES magazine to create a brooding, Batman-inspired Optima that goes on display this week at the Time Warner Center and signals the beginning of a 10-month partnership based on the iconic characters that make up the Justice League. Influenced by the artistry of comic book icon, Jim Lee, the Kia super hero vehicles will become a force for good in the world by raising awareness of DC Entertainment’s "We Can Be Heroes" giving campaign, a relief effort to fight hunger in the Horn of Africa (www.WeCanBeHeroes.org). Fitting for the caped crusader’s dark and mysterious personality, Kia’s range-topping Optima SX Limited wraps cutting-edge technology and premium amenities in a sleek, aggressive design customized with several unique Batman elements. Kia Motors America and DC Entertainment join forces to raise awareness for the WE CAN BE HEROES giving campaign with the unveiling a one-of-a-kind Batman-inspired Optima at the Time Warner Center in New York on Wednesday. "Batman is one of the most popular Super Heroes of all-time, and showcasing in a fun and creative way Kia’s top-of-the-line Optima SX Limited as a Batman-themed custom ride underscores this car’s potent combination of premium features and turbocharged performance," said Michael Sprague, executive vice president, marketing and communications, KMA. "The Optima is our best-selling vehicle and has played a significant role in Kia becoming one of the fastest-growing automotive brands in the U.S. over the last five years1, and it is the perfect platform to introduce our partnership with DC Entertainment and the Justice League to benefit the ’We Can Be Heroes’ campaign." Working together, Kia, DC Entertainment and RIDES magazine designed and built the Batman-themed Optima, transforming the exterior with a matte- and piano-black paint scheme, a dramatically lowered coilover suspension and muscular ground effects kit, huge Ksport performance brakes for extreme stopping power, custom-designed 20-inch black wheels and a performance exhaust system. 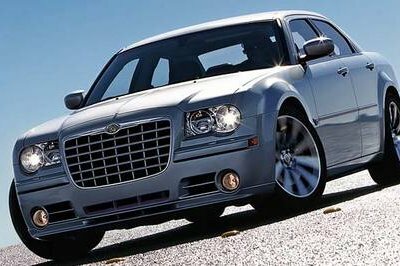 Other exterior modifications include a custom front grille shaped like a batwing that took over 40 hours to create, yellow LED lighting accents throughout the vehicle and the iconic bat signal etched into the HID headlights. Moving beneath the cape, the Optima’s seating surfaces are costumed in custom black leather and suede with bold yellow accent stitching. Gotham City’s streets are full of villains and the Batman-themed Optima is ready for action at a moment’s notice with a Bat suit and cowl mounted in the trunk and utility throwing stars installed in the center console. As Kia’s sales have grown, so has the company’s role as a responsible corporate citizen, and the Batman-themed Optima furthers those efforts with two video screens in the front-seat headrests that will raise awareness about the worst hunger crisis in 60 years by featuring a custom "We Can Be Heroes" video that demonstrates how one small act can make anyone a hero. 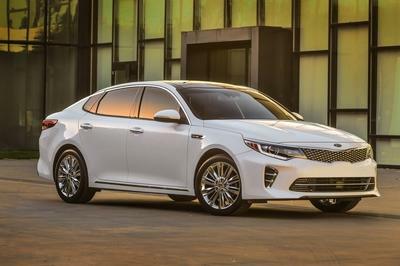 Starting at just $35,2752, the Optima Limited, which is built at Kia’s U.S. manufacturing plant in West Point, Georgia, is based on the fully loaded turbocharged Optima SX and is offered in Ebony Black, Snow White Pearl and Titanium Metallic exterior colors. 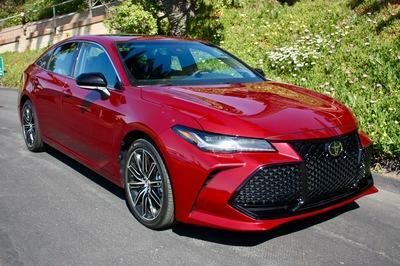 The Optima Limited features many details that are mainly found on luxury vehicles, including LED daytime running lights and chrome-accented rear spoiler, lower door sills, wood interior trim and electronic parking brake. Standout red brake calipers can be seen through the Optima Limited’s uniquely designed chrome 18-inch wheels while the 2.0-liter turbocharged gasoline direct injected engine delivers 274 horsepower and achieves up to 22/34 mpg3 (city/hwy). DC Entertainment, home to iconic brands DC Comics (Superman, Batman, Green Lantern, Wonder Woman, The Flash), Vertigo (Sandman, Fables) and MAD, is the creative division charged with strategically integrating its content across Warner Bros. Entertainment and Time Warner. DC Entertainment works in concert with many key Warner Bros. divisions to unleash its stories and characters across all media, including but not limited to film, television, consumer products, home entertainment and interactive games. Publishing thousands of comic books, graphic novels and magazines each year, DC Entertainment is the largest English-language publisher of comics in the world. In January 2012, DC Entertainment, in collaboration with Warner Bros. and Time Warner divisions, launched We Can Be Heroes —a giving campaign featuring the iconic Justice League super heroes—to raise awareness and funds to fight the hunger crisis in the Horn of Africa. Kia Motors America is the marketing and distribution arm of Kia Motors Corporation based in Seoul, South Korea. KMA offers a complete line of vehicles through more than 755 dealers throughout the United States and serves as the "Official Automotive Partner" of the NBA and LPGA. 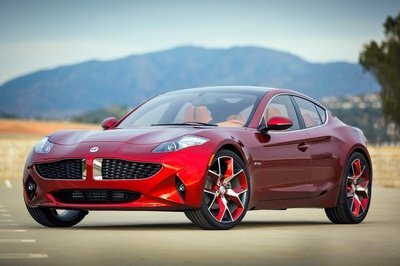 In 2011, KMA recorded its best-ever annual sales total and became one of the fastest growing car companies1 in the U.S. Kia is poised to continue its momentum and will continue to build the brand through design innovation, quality, value, advanced safety features and new technologies. 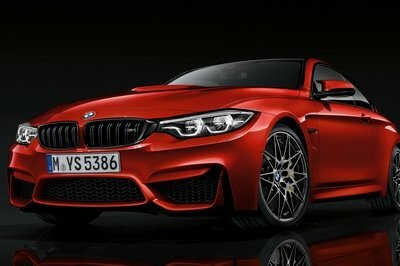 except matte paint, the car does not attract me at all. even seems a joke to me. sorry! I like the matte black paint and the grille on this car looks better and the wheels are nice. from my point of view, it has some good angles but from others it looks cheap and tinny. even if the current Optima is among the best looking midsize sedans, it is and will never be a "Batmobile" ! !